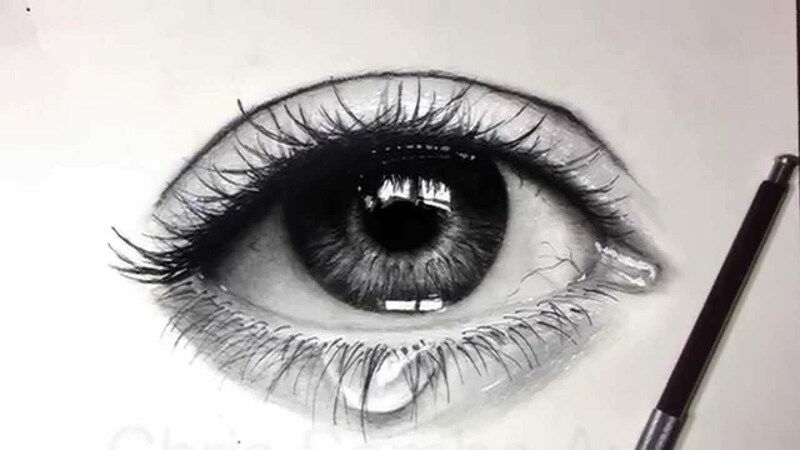 It’s no secret, drawing eyes is one of the most challenging parts of portrait drawing. There are many angles that need to be perfect, which are surrounded with rounded shapes. This makes it very tough to predict where to end each stroke and loop each curve. For this reason, it’s recommended to start any portrait with the eyes. It’s the center of attention and the window to your subject’s soul. It’s the highlight of the perfect portrait, and the double agent that gives away how new an artist is to drawing portraits. 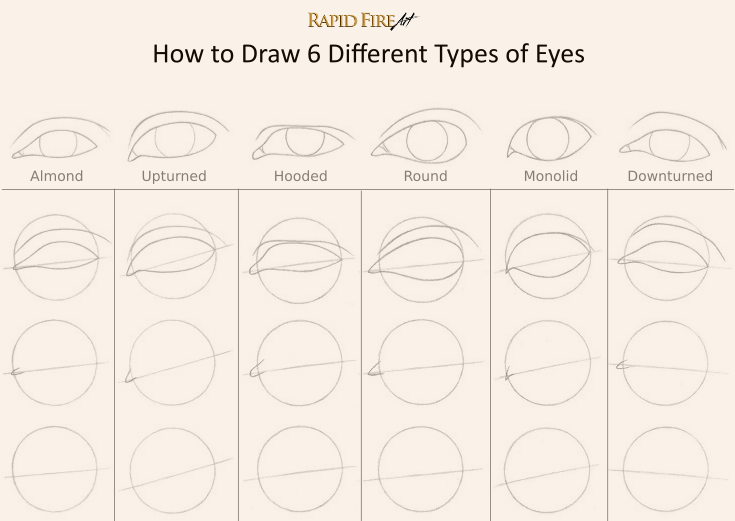 When you start the drawing eyes first, if they look off after completing them, you won’t have wasted your time drawing the rest of the portrait! If you’re not used to drawing with charcoal – there is one important thing to remember. Charcoal smudges easily! When you’re detailing, try not to put your hand over any area that you’ve already done. I’m a form-first kind of artist, 2nd nature thanks to my experience as a UI designer. I start with a straight line that runs through where the eyes will be placed. The whole distance of this line should be 4 eye widths apart. From there, divide it into quarters. Those new lines you put will be the center of the eyes and the center of the head. Divide those sections once more and, voila! You have the interior and exterior edge of each eye. It’s time to start drawing. Often, for the rough in, you would want to use the softer vine charcoal. It’s easier to fix, and lighter than composite charcoals (which are better for details and blackness). Place the pupils – perfect circles – on the mark you have in the center of the eyes if your subject is looking at the viewer or slightly off center if they’re peering elsewhere. The iris is another circle, a bigger one. You can draw the whole circle at this point, you’re roughing it! The eyelids form an oval – or, more accurately, lemon-shaped – with two tips touching the other markers you placed on the line. Feel free to adjust as much as you need to at this point and clean up the initial spacing lines, you won’t need them any longer. Charcoal works best when you layer it on. By starting light and placing layer after layer of charcoal, you’ll achieve the darkest blacks and a nice, smooth detailing. Remember that direction matters when drawing eyes, even if there will be layers of charcoal on top of it. The details in the iris come out from the center, not all in the same direction! Charcoal is soft and powdery so it’s easily smudged. Use this to your advantage by spreading around the layers with a blending stump. Use the stump to even out the blackness on every layer. Remember that your final layer should be the one where you’re placing the details (because every other layer will be smudged by your hand) and should only be begun when the rest of the portrait is complete. Especially on the detail layer, try to work from left side of the image to the right to reduce the smudging as much as possible. Use newspaper to protect your drawing if you have to put your hand over top again. Once you’ve completed drawing eyes in your portrait, add the twinkle back into your subjects eyes with a piece of chalk or colored charcoal. This simple act can turn your perception of your own “drawing eyes” skill from unskilled to master; or in my case, slightly less unskilled. Want more tips? Take a look our tutorial on facial expressions or sign up for free email lessons!